Looking at the number of grape varieties about which I’ve written — I count some 146 — it seems almost unbelievable that I could find myself in a wine rut, but it happens even to me. It’s easy to pop into my favorite wine store, grab a couple of my standard bottles and scoot, without giving the new items on the shelf much thought. My current go-to wines may sound rather exotic — Félicette Grenache Blanc and Ivanović Prokupac, for example — but I’ve bought dozens and dozens of bottles of each. They’re not exotic to me, they’re just comfort wines. There’s nothing wrong with comfort wines, of course, but I have a feeling that if you’re reading this blog, you’re interested in escaping whatever sort of wine rut you’re in and tasting something new. 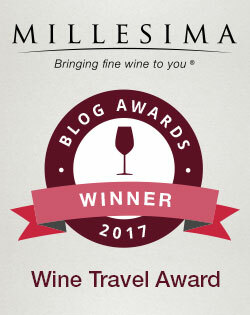 The problem, I realize, is that unless you’re a regular reader of this blog, you’ll have a hard time homing in on the wine that’s right for you. Let’s say you like light and bright Pinot Grigio, but you’re ready to try something else. Are you supposed to look at the list of 146 grape varieties on the right side of this page, and hope that the one you choose to read about will suit you? How would you guess that I would suggest trying, say, Verdicchio, which isn’t even on the list? There’s no way to get there from here. “If anyone orders Merlot I am leaving. I am NOT drinking any f***ing Merlot!” Those two little sentences from the 2004 film Sideways continue to f*** up Merlot to this day. Certain large California wineries didn’t do the grape any favors, producing all too much flabby, overripe, jammy, unbalanced Merlot. It’s understandable that it developed an unfortunate reputation in the United States. 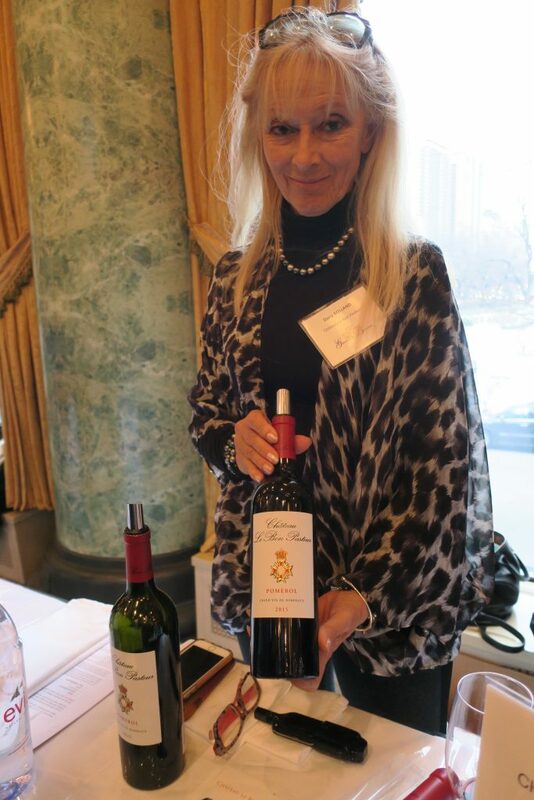 At a recent Union des Grands Crus de Bordeaux tasting in Chicago, I mentioned that reputation to Eric Monneret, Managing Director of Château La Pointe in Bordeaux’s Pomerol appellation. 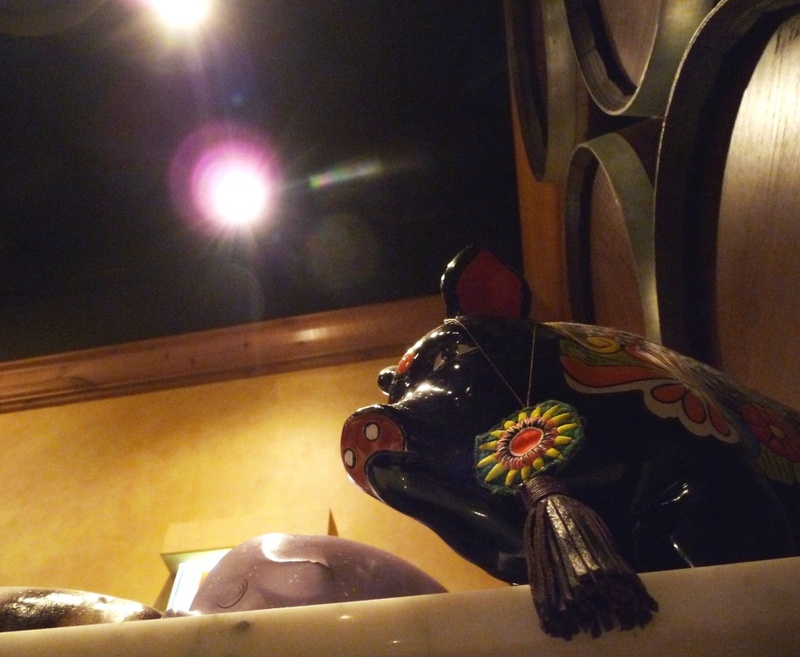 He sighed and said, “In the U.S., people don’t believe that Merlot can be fresh. People can’t imagine a fresh Merlot. The window to the harvest is very short — Merlot becomes overcooked very quickly.” Grapes like Cabernet Sauvignon are more forgiving, he said, but Merlot — you have to be precise. And I suspect that few places are as precise with their Merlot as Pomerol. “Merlot was born in Pomerol,” Dany Rolland, sister to Michel Rolland, explained to me. “It’s difficult to make elsewhere,” she said, though Pomerol’s neighbor, St-Émilion, might disagree. The World Atlas of Wine also has kind words for Pomerol, saying that “…an astonishing number of small [Pomerol] properties, for an area no bigger than St-Julien, are generally agreed to be among the best in the whole of Bordeaux.” And if properties are among the best in Bordeaux, that means they’re among the best in the world. 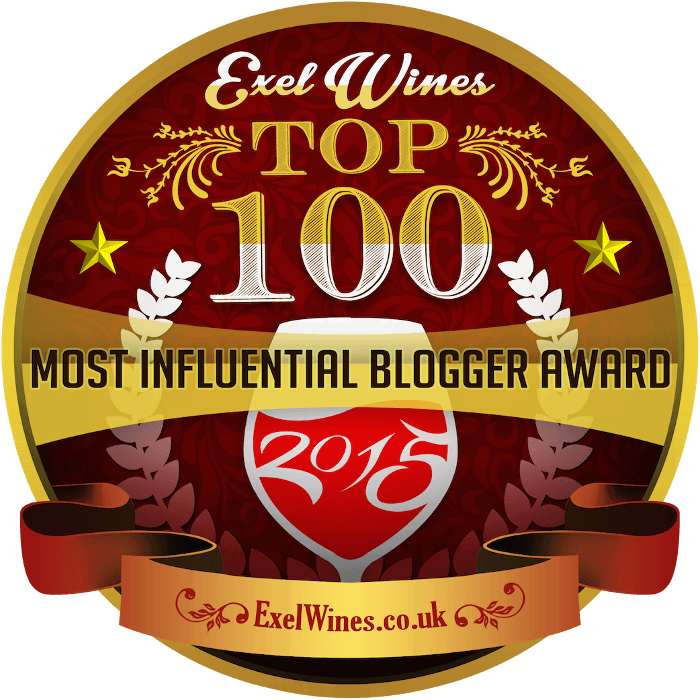 Not bad for poor old Merlot! Unlike many of Bordeaux’s appellations, Pomerol is unclassified, which means that all wines from the region are simply Pomerol. The soil changes too frequently, it seems, and the terroir doesn’t necessarily follow vineyard boundaries. But as The Atlas explains, “Rather than being overwhelmed by the complications of Pomerol, it is worth knowing that the average standard here is very high.” So if you pick a Pomerol more or less at random, you’re likely to get something quite good. Unfortunately, as The Atlas goes on to say, it likely won’t be inexpensive. 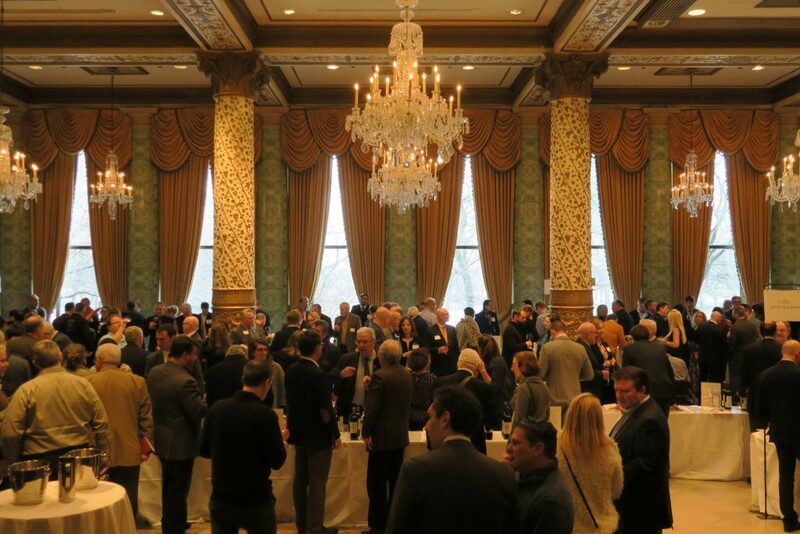 I had the chance to taste six Pomerols at the tasting at Chicago’s Drake Hotel, and oh my, they really were a delight. 2015 Château La Pointe: Mr. Monneret told me that in 2015, the Merlot was strong and fresh (sometimes, it’s just one or the other). And certainly his wine was both. A blend of 85% Merlot and 15% Cabernet Franc, it had an aroma of fresh dark cherries mixed with some spiciness and a light vanilla note, and it tasted very well-balanced, moving slowly and deliberately from rich, ripe dark-red fruit to ample acids and spice. There was a delectable chewiness to the wine at first. I suspect that will lessen as time goes on, but the wine is a pleasure to drink even now. 2015 Château Le Bon Pasteur: The Rolland family used to own this château, but Michel sold it in 2013. Nevertheless, Dany still serves as the winemaker. She told me that 2015 was a sunny vintage that had rain at just the right time. This Pomerol, a blend of 80% Merlot and 20% Cabernet Franc, had an aroma dominated by mocha, with a cherry note underneath. It tasted rich with chocolate-covered cherries, leavened with hint of coffee-like bitterness. A shaft of acids and spice kept the wine tight, and it had a long, fresh finish. The tannins sneaked up on me, meaning that they were more-than-usually well integrated. 2015 Château Beauregard: This château’s representative was ill at the time of the tasting, so we didn’t have the chance to chat. It’s too bad, because this wine smelled particularly fresh, with the dark-cherry fruit and vanilla notes buoyed by a bright leafiness. It tasted wonderfully fresh as well, with round fruit and supple tannins. All that freshness likely comes from the higher percentage of Cabernet Franc — this bottling is 70% Merlot, 26% Cabernet Franc and 4% Cabernet Sauvignon. Cheerful and refined. 2015 Château Rouget: This château has fallen into the hands of Burgundians! The only Burgundian château-owners in Bordeaux, according to Edouard Labruyère, who represents a family of winemakers going back some 250 years. The Labruyères bought Rouget in 1994, and they farm the vineyards totally organically. “As a Burgundian,” he confided, “I use whole [grape] clusters — I don’t de-stem.” His crazy Burgundian techniques seem to be working, even in Bordeaux. His Pomerol’s aroma had an almost electric tension between ripe dark cherries and bright freshness. It tasted big and juicy and fresh, and the finish went on for ages. 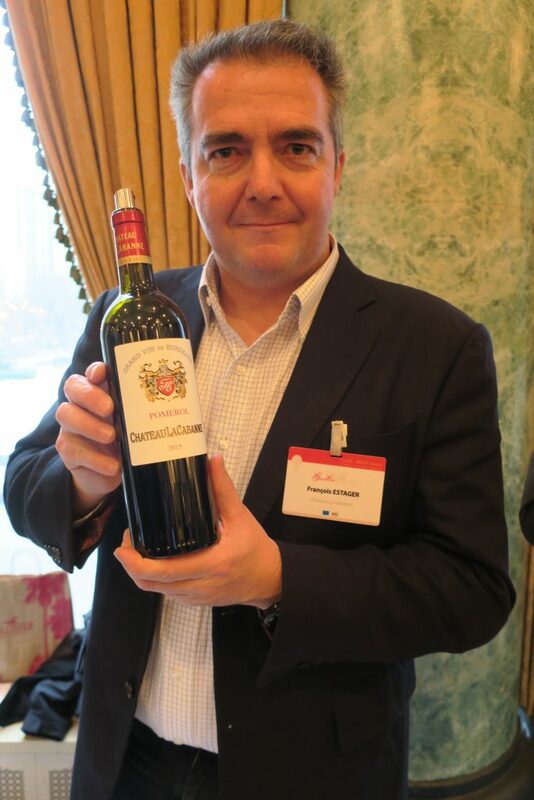 2015 Château La Cabanne: Owner François Estager went all-in with Merlot in 2015. Well, almost — his wine is 95% Merlot blended with 5% Cabernet Franc. I loved its aroma of dark cherries mixed with a bit of chocolate and a violet-like perfume. This wine also moved with slow grace, changing effortlessly from ripe fruit to focused spice to supple tannins to a fresh eucalyptus finish. “Zowie,” I wrote in my notebook. You could surely age this, but it’s gorgeous now. 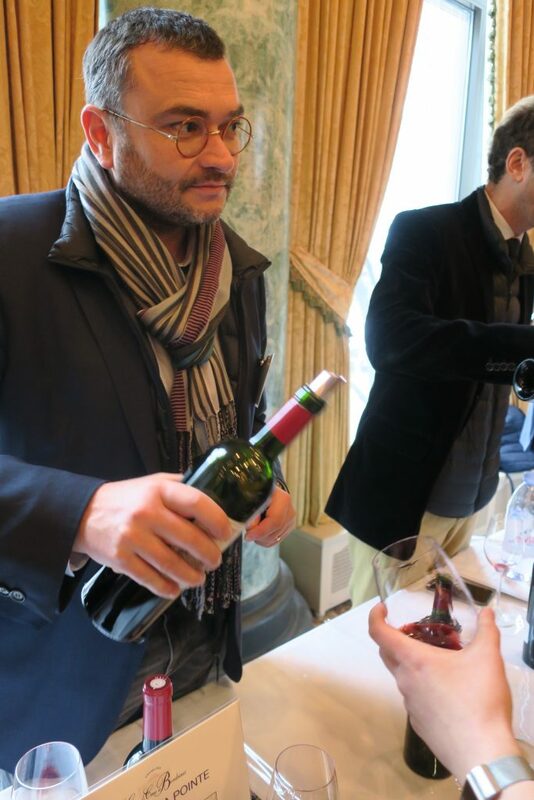 2015 Château Gazin: Gazin’s Technical Director Mikaël Obert used the same blend as La Cabanne. In some years, he explained, he uses a bit of Cabernet Sauvignon too, but in 2015 it didn’t ripen as well, so it ended up in the château’s second-label wine. He also uses just 15% new oak, because he prefers “for the grapes to express their personality, not the barrel.” There was that dark cherry aroma again mingled with dark chocolate, and the flavor was lush and velvety. It moved seamlessly and luxuriously from fruit to spice to a finish of dusty mocha. Or rather, I thought that was the finish, until it moved yet again, on to some eucalyptus freshness. Very polished, and very delicious. The point of all these tasting notes is that Merlot can be ever so much more than a flabby jam bomb. I most certainly am drinking some f***ing Merlot, and I suggest you do the same. Especially if it’s Pomerol. In addition to Spätburgunder (Pinot Noir), Germany grows a number of other red grape varieties quite successfully, as I rediscovered on a recent visit. An unusual but traditional varietal such as Lemberger was fun to drink, but what really made me want to stand up and yodel was the Merlot and the Cabernet Sauvignon/Merlot blend I tried. Wow. Who would have thought that these varieties, which reach their apex in warm, maritime Bordeaux, could do so well in cool, continental Germany? Apparently, some smart German winemakers thought so. The World Atlas of Wine notes that there have been some “convincing experiments” with red Bordeaux varieties in Württemberg, and you can consider me convinced. Not all German reds are worth trying — many are still thin and sweet — but after tasting the Spätburgunders described in this post and the wines detailed below, I am certain that there is a German red for everyone. 2010 Staatsweingut Weinsberg Lemberger Trocken: This wine comes from Württemberg, an area just north of Stuttgart which the Atlas says is “really red wine country.” It started fruity and sweet, and I feared it would be a simple snoozer, but then a blast of black-pepper spice kicked in, ensuring that there was no way I would sleep through this glass of wine. You might have tried a Lemberger and not known it — the variety is especially popular in Austria, where it’s known as Blaufränkisch. 2007 Geisel Weinbau Brentano “R” Markelsheimer Probstberg Merlot Trocken: I had a devil of a time finding a website for this single-vineyard wine (Probstberg is the vineyard name), but I have a sneaking suspicion it’s produced by the same Geisel family which owns the hotel where I tried it, the Königshof in Munich. The restaurant’s adventurous sommelier selected this wine from northern Württemberg to pair with a main course of rabbit with artichokes, spinach and saffron, and it was startlingly delicious. 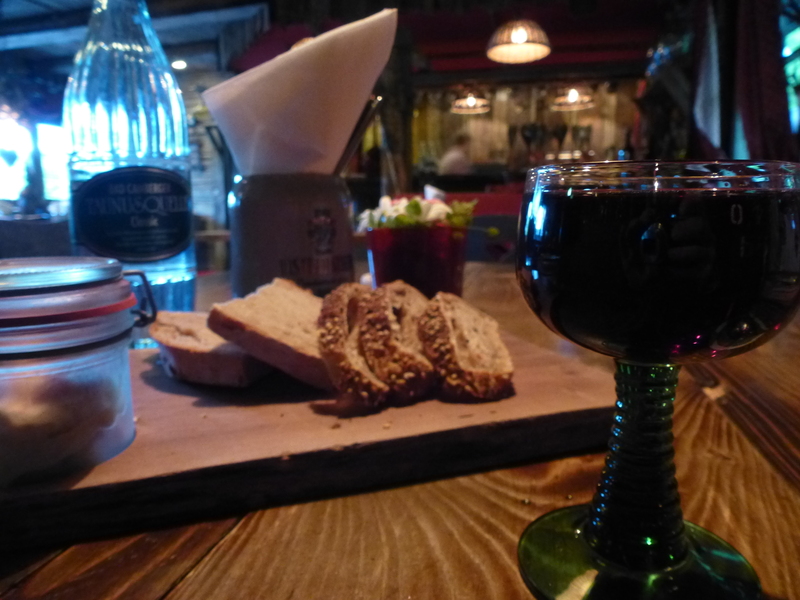 I knew I was in for a treat when I gave the wine a first sniff, enjoying the aroma of ripe red fruit and earth. It had a velvety texture, rich fruit and big but firmly controlled spice. Absolutely excellent. 2010 Weingut Fritz Wassmer “Cuvée Félix” Cabernet & Merlot: This Bordeaux-style blend comes from the far southwestern corner of Baden, the southwesternmost state of Germany. I felt especially excited to try it because it comes from a town called Bad Krozingen, just a few miles from where I studied abroad in Freiburg. Again there was that velvety red fruit that I love, followed by some soft spice and a smokey finish of tobacco. It paired perfectly with an insanely large portion of Zwiebelrostbraten (roast beef with caramelized onions), and, oddly enough, it worked with the asparagus as well.